According to the 2011 National Alliance to End Homelessness report, out of every 10,000 New Orleanians, 56 are homeless.The report stated that the New Orleans metro area has the second highest rate of homelessness amongst one hundred largest metropolitan areas in the nation. 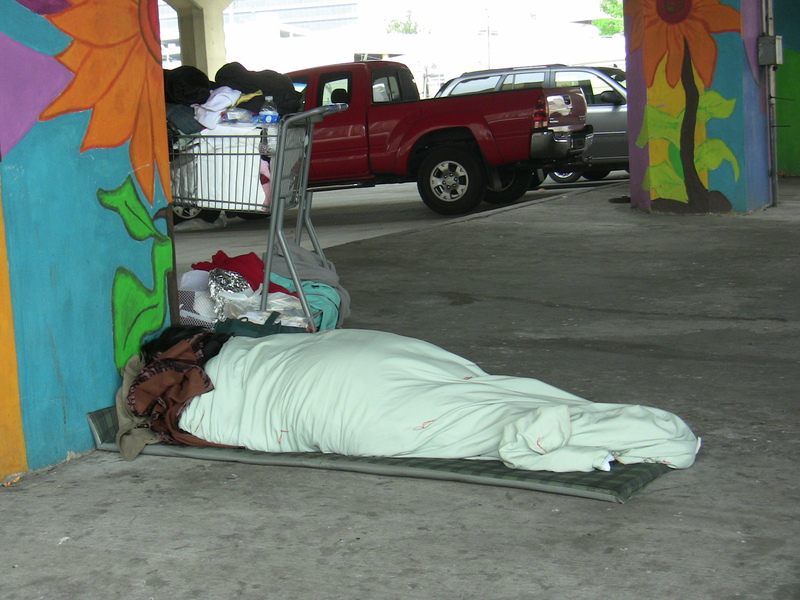 The homelessness population in the New Orleans metro area is estimated at 6,687 , that is according to the 2011 National Alliance to End Homelessness report. Graig Bychurh who moved to New Orleans a year ago from Lafourche Parish, is one of those people who are looking for a place that he can call home. “I worked on the tugboat all my life and shrimp stuff like that. And now I can’t pass the physicals and anything to go back to work,” Bychurch said. Bychurch lost his tugboat license after being diagnosed with diabetes. Since then he has been struggling to maintain a steady job. Bychurch said he joined the homeless community in the Greater New Orleans because there service for people like him in his hometown. “I’ve just been tried to survive, you know ‘cause I don’t have no income now,” he said. The New Orleans Mission Director of Operation, James Gonzalez said the National Alliance to End Homelessness report did not surprise him. Gonzalez pointed out that the high number of blighted homes in the city is a contributing factor to the problem of homelessness. “It’s totally believable,first of all. Specially, you got to consider New Orleans has 15, 000 abandoned buildings within the city limits. That type of environment breathes homeless people,” Gonzalez said. Two weeks a ago, the U.S. Department of Housing and Urban Secretary Development Shaun Donovan announced Louisiana is going to receive $1.7 million to battle homelessness. The New Orleans metro area (New Orleans-Metairie-Kenner) will receive most of this fund. The HUD fund will be used to finance eight housing projects across Louisiana. Four of them are going towards New Orleans metro area. The Unity of Greater New Orleans and Volunteers of America of Greater New Orleans are the two organizations that will carry out the HUD’s four housing projects in the New Orleans metro area. Meanwhile, people like Bychurch have no clue how they will make ends meet or when they will find a place to live, but Bychurch’s faith keeps him hopeful. “I hope the God…he opens the door for me. And I pray for it every day. Without God in my life I don’t know where I’ll be right now,” Bychurch said.